Hello and welcome! 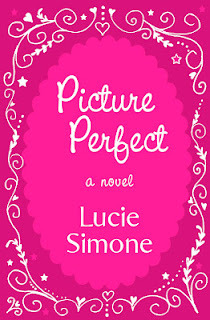 As part of a book tour with CLP Tours, I'm interviewing Lucie Simone, author of Picture Perfect. Thanks for stopping by, and I do hope you'll comment, letting us know you were here. 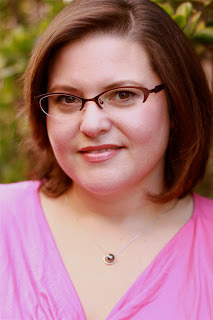 I’m an author, a girlie girl, a yogi, a bookworm, a movie buff, an animal lover and a vegetarian. And I live in Los Angeles with three cats and a view of the Hollywood sign. I write about modern women coming into their own and having fun while trying to have it all. I’ve been writing in one form or another since I was a kid, but I started writing novels in 2003. I have two published novels, Hollywood Ending and Picture Perfect, and two published novellas, A Taste of Italy and The Waterdance. I write Chick Lit and Women’s Fiction, although my latest novel, Picture Perfect has an element of mystery to it. If I were to stray, I’d probably write Young Adult. I heard recently that YA is the new Chick Lit. I’m not sure what that means, but I do think YA is a great genre, and I know that teens have really enjoyed reading my debut, Hollywood Ending. I’m a reformed pantser. I wrote my first novel, Hollywood Ending, by the seat of my pants and it turned out to be an editing nightmare. Now, I plot out everything before I ever write a single sentence of prose. It’s hard to reign in the desire to just jump right in and start writing, but once I’ve got the story plotted, the writing is so much easier. I liken it to going on a road trip with an itinerary. You’ve got your main stops marked off, but it’s always a good idea to leave room for a couple of fun detours. Typically, I write in two hour blocks on my sofa with a favorite movie playing in the background. I usually have one or two cats vying for my attention, as well. Occasionally, I’ll schedule a big writing day and head over to my favorite coffee house and park my behind at a table for hours on end, breaking only for refills on tea and the occasional cupcake. My all-time favorite author is Marian Keyes and my favorite book of hers is Sushi for Beginners. I think Marian has a remarkable talent for turning darkness in to light, often dealing with difficult subject matters like addiction, depression and even sexual abuse without making the reader want to off herself in the process of reading it. What an interesting question! Aside from writing another page-turner, I’d like to expand my readership to Chick Lit and Women’s Fiction fans who may not have stumbled upon my books yet. I’m still trying to figure out how best to spread the word! I’d like to have the ability to read minds so I can finally find out what my boyfriend is thinking! But, on second thought, maybe I’m better off not knowing… So, in that case, I’d love to be able to teleport myself to different places around the globe whenever and wherever I wanted to go. That would be awesome. If you could keep a mythical / paranormal creature as a pet, what would you have? How amazing would it be to have a Unicorn? Picture Perfect is about a TV producer, Lauren, whose soon-to-be-ex-husband launches a smear campaign against her with the help of her former assistant. Lauren tries to hang on to her job and her reputation, but she learns just how cutthroat showbiz can truly be when the hottest scandal in Tinsel Town turns deadly and the Hollywood hunk who’s stolen her heart goes missing. A cat. I can say this with some authority because the only time I didn’t have a cat (when I was living in a dorm in college), I was so desperate for some feline affection that I would drive home nearly every weekend just to see the two Siamese cats I had to leave at home with my parents. After moving out of the dorm, I brought my cats to live with me and they even followed me from Atlanta to Los Angeles when I went to graduate school. Yes, I am a crazy cat lady. I have a guy friend who thinks he knows everything about women. I’d love to do a ‘his and hers’ story with him because I know he doesn’t know jack about women. Well, the easy answer is Johnny Depp. We’d spend the day in bed and I’d ask him to marry me. But if you want me to be serious about it…I’d have to say Marie Antoinette (before the revolution, obviously) and we’d spend the day playing dress up, trying on gorgeous gowns, stunning jewels, and silk shoes. And I’d ask her to marry me. I would love to see Empire of Light by Gregory Earls adapted for film. It’s an amazing story full of adventure, art and magic. In fact, I loved it so much, I published it last year through my small press, Simon & Fig. I wish I had any sort of musical ability. I have none whatsoever. I can’t even remember music once it’s stopped playing. I love music, but I just don’t have the brain for it. I could listen to the same song 100 times and still not recognize it if you played it for me the next day. Weather: Hot or cold? Warm. I’m a weather wimp. Favorite place to read? In bed. Favorite meal: Thanksgiving dinner, sans turkey (I’m a vegetarian). Favorite non-alcoholic drink: I’m addicted to sparkling water. I’d move to France and spend the next decade exploring every inch of the country. I’ve been to Paris and The Loire Valley, and it was absolutely enchanting. I’ve wanted to return ever since, and I do hope to someday soon. Review: Meet Lauren Tate. She's the kind of woman that's used to being on top, getting what she wants, and having her way. In Picture Perfect, things aren't quite so perfect. When her plans start to go the opposite way from which she'd thought, life turns a bit upside down. A bit of mystery, intrigue, drama, scandal- Picture Perfect has what readers love, if you're the eclectic type and like a mixture of everything in a story. I couldn't put it down. Lauren is a very good heroine that anyone could easily relate to. She makes mistakes, but she's only human, and that's what makes her a well rounded character. Lucie Simone creates quite a bit of a stir in this novel, and I am anxious for more juicy stories just like this!